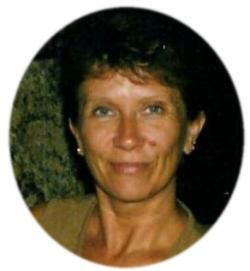 Mary was born in Saint John, New Brunswick, April 7, 1954 and passed away peacefully at the Dr. Everett Chalmers Regional Hospital, Fredericton, on Thursday, February 21, 2019 in her 64th year. Predeceased by her parents Gerald and Audrey (Patricia) (Coleman) Chamberlain of Saint John, Mary is survived by husband and best friend James Leal of Dumfries, New Brunswick; her children Daniel, Andrew, Kathleen (Matthew) O’Connor; stepson Michael (Chrystal) Leal; stepdaughters Sarah Leal and Samantha (Josh) O’Hara; granddaughters Jayda Swaffer-O’Connor, Gabrielle O’Connor, Haley Downing; grandsons Ashton, Ethan, Joshua, William Leal, Jaxon O’Hara and great-granddaughter Hannah Mousseau-Swaffer; her brothers Robert, and John (Louise); sister-in- law Doris (Leal) Thibodeau; nephews and nieces Steven and Camille Chamberlain, Ricky and Jessica Thibodeau. Mary was a proud long-standing, elected officer and member of the Public Service Alliance of Canada; her calling and passion for more than two decades was in representing workers’ rights, promoting human rights, equality and respect for all. She truly believed if you “take care of the members, the members will take care of you”. Respecting Mary’s request there will be a small graveside family service at a later date. A celebration of life will be held afterward at their home. Cremation and funeral arrangements entrusted to Flewelling Funeral Home, Nackawic, interment will be at the Barony Cemetery. In lieu of flowers, donations in Mary’s memory to the Barony Cemetery would be appreciated.